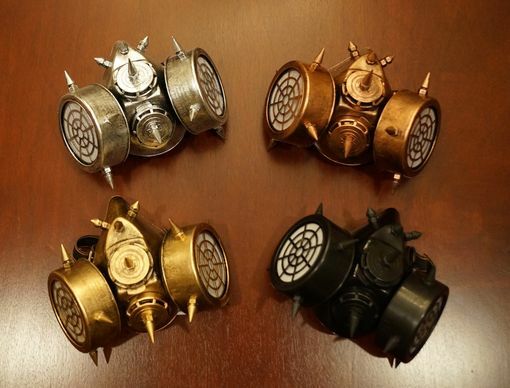 Vex gas masks are accented with spikes and come with elastic ties. Gas masks come in four colors to choose from. This is a costume accessory and not to be used a real functioning gas mask.